The Fishkill, NY Historical Society’s Van Wyck House site incurred significant damage in May 2018. A large Macro Burst hit the Hudson Valley and destroyed hundreds of trees. 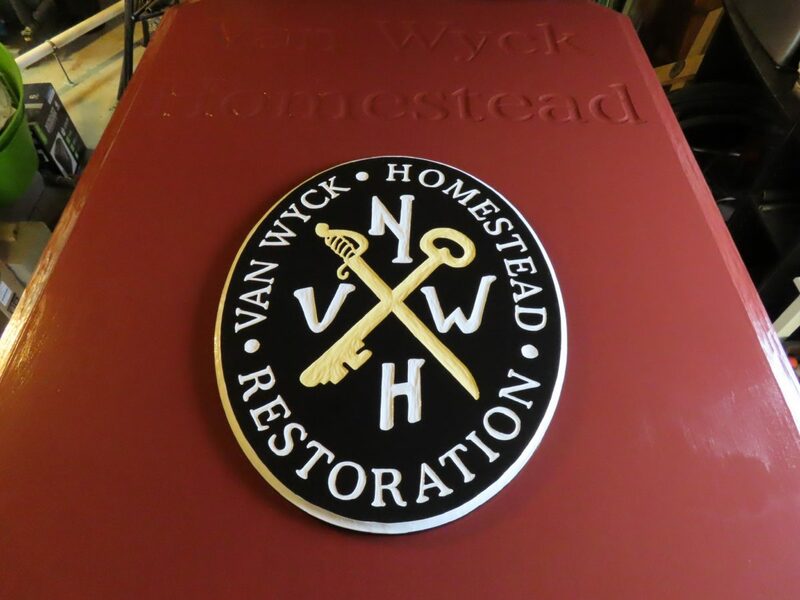 The Van Wyck House property suffered tree damage and their sign was ripped from its frame and destroyed in the process. 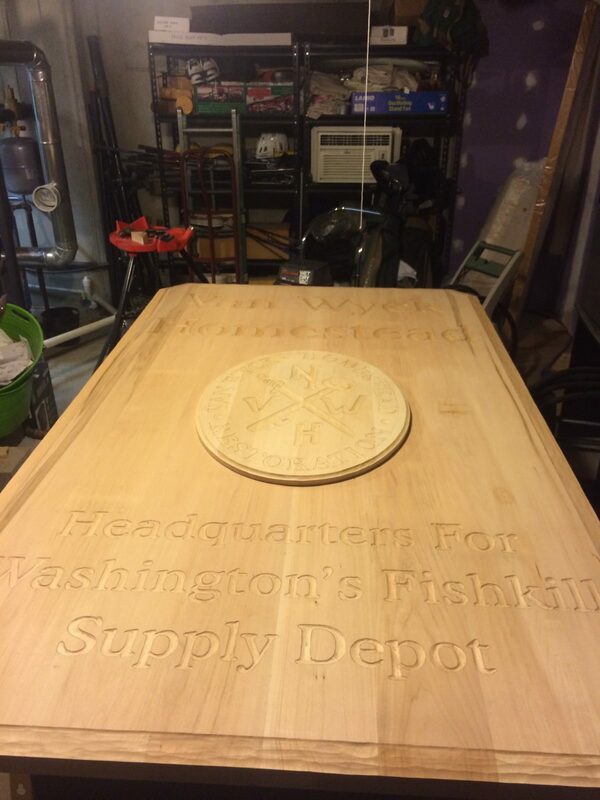 A friend gave my name to the Fishkill Historical Society as someone who may be able to make a replacement sign. After several phone calls and e-mails I agreed to build a sign for them. 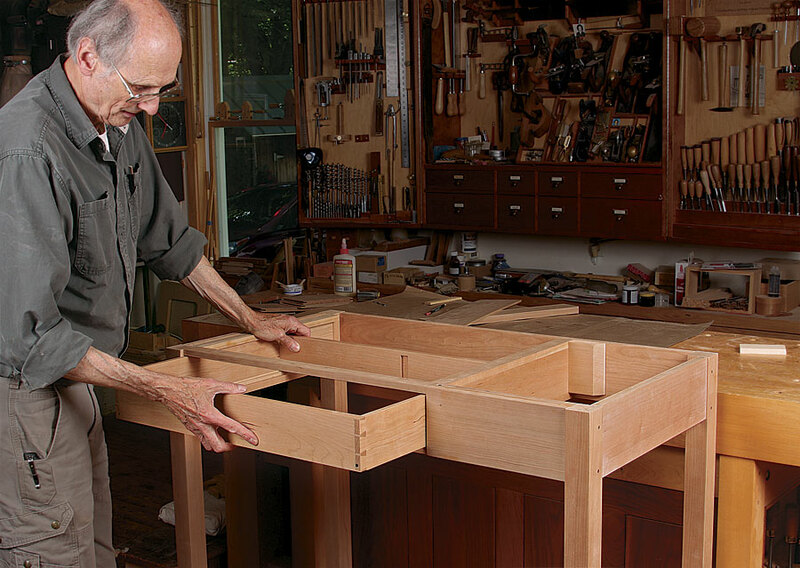 The body of the sign is 48 inches wide, 80 inches high and 1 and 3/4 inch thick. The sign and the medallion are made of Basswood, finished with oil primer, exterior latex enamel for the background paint and commercial Sign Enamel for the lettering and medallion symbols. All photos were taken by me, Wayne Bunker. I am a mechanical engineer by day and do sign carving for fun. 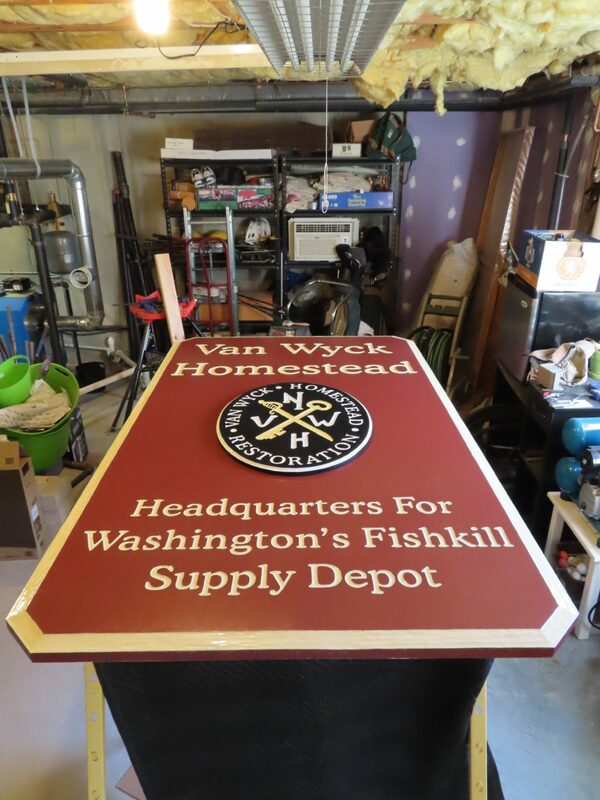 The materials for this sign were purchased by the Fishkill Historical Society, I donated my time (approximately 80 hours) for the fabrication of the sign. Carving complete before priming, painting and lettering. Close up of applied medallion.